Leonardo DiCaprio brings J. Edgar Hoover to life on the big screen. We’ll look at the FBI’s real J. Edgar, and his lessons. J. Edgar is Clint Eastwood’s new movie about the man who built and ran the F.B.I. for almost four decades. 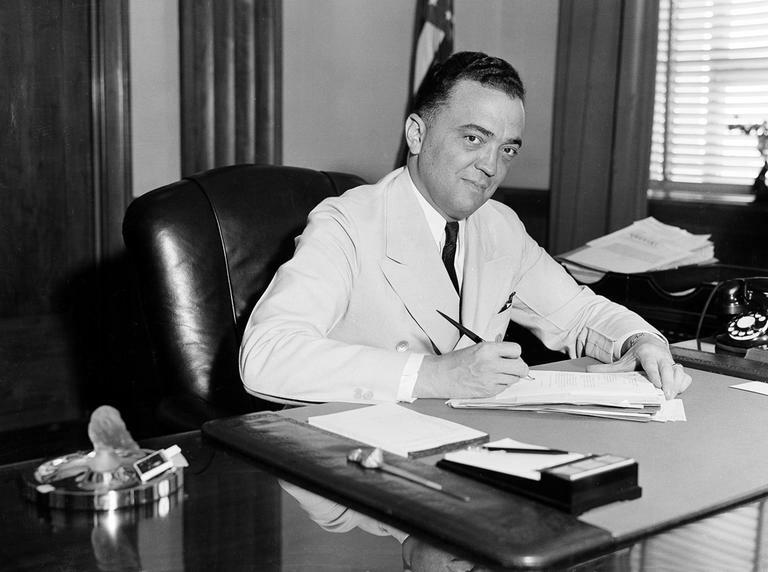 For most of those years the FBI WAS J. Edgar Hoover – who made the bureau into a powerful national police force, and took down notorious bank robbers with names like Dillinger, Bonnie and Clyde. But Hoover was also a man of dirty tricks and secret lists who kept his grip on power by threatening anyone who got in his way, including subversives, critics and Presidents. This hour, On Point: J. Edgar Hoover; still with us. Kenneth Ackerman, author, historian, and practicing attorney. He's the author of Young J. Edgar: Hoover and the Red Scare, 1919-1920. Douglas Charles, Assistant Professor of history at Penn State Greater Allegheny. He's the author of J. Edgar Hoover and the Anti-interventionists: FBI Political Surveillance and the Rise of the Domestic Security State, 1939-45. Cartha Deloach, served as a deputy director of the FBI from 1965-1970. Author of Hoover’s FBI: The Inside Story by Hoover’s Trusted Lieutenant. The New Yorker "Clint Eastwood’s “J. Edgar” is, of all things, a portrait of a soul. The movie is a nuanced account of J. Edgar Hoover (Leonardo DiCaprio) as a sympathetic monster, a compound of intelligence, repression, and misery—a man whose inner turmoil, tamed and sharpened, irrupts in authoritarian fervor. Eastwood and the screenwriter Dustin Lance Black have re-created that period in the nineteen-twenties and thirties when a righteous young man with a stentorian style could electrify a nation. Outraged by scattered bomb plots and shifting values—what seems to him the moral chaos of modern life—Hoover senses that Americans need safety, or, at least, the illusion of safety, and he becomes the vessel of their protection, exercising and justifying, with ironclad rhetoric, his own dominance." Time "He virtually invented the FBI and its predecessor the Bureau of Investigation, bringing forensic science into the modern age and, with the 10 Most Wanted list in every post office, luring the citizen into the crime-stopping process. He oversaw the men who brought down John Dillinger and arrested Lindbergh baby killer Bruno Hauptmann. " The L.A. Times "In February 1970, a top aide to President Nixon warned J. Edgar Hoover that a new reporter in town, Jack Nelson, was said to be gunning for theFBI." This program aired on November 9, 2011.